I am not a musician, but I cannot begin to imagine how frustrating it must be to hear a music fan or critic say these words: It all sounds the same. Of course, there are many other damning words that can be said to describe music that doesn't leave a favorable impression, but when it comes to Fleet Foxes, even with all the praise that is delivered to them, I hear this particular line thrown out all the time. And while I can understand what it might mean, I'm not sure it's even close to fair. In fact, after seeing this wonderful band the other night, I'm not sure if it's even possible to have an opinion of their music if you haven't seen them live. Tuesday evening was my first time, and from early on in their set, one thing was clear: their latest album, Helplessness Blues, was made to be played before an audience. Helplessness Blues is a slow-churning album, one that takes multiple listens before its magic really sinks in. 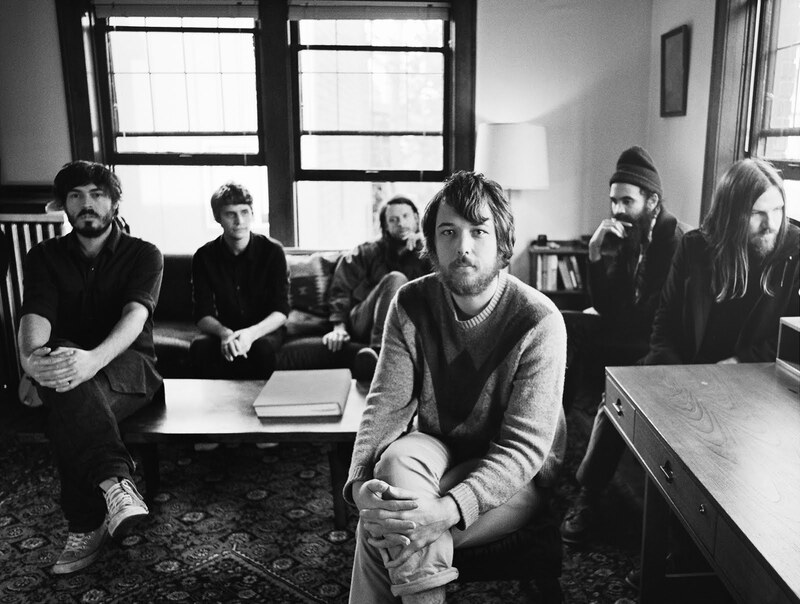 And as with most of their music, it leans heavily on perfectly-executed harmonies and the pristine vocals of lead singer Robin Pecknold (who was suffering from allergies on this night, and even asked the audience if there was any Claritin in the house). But, that's easy to point out. What's not so easy to perhaps understand just by listening to the album is the fact that this is a band that also leans heavily on instrumentation besides vocal delivery. In short, these dudes are versatile musicians -- they used 12-string guitar, mandolin, fiddle, and saxophone, among other traditional instruments. For example, the show began with a delicate instrumental, "The Cascades," which set the tone for the evening. It was a sweet moment, making the next two songs, "Grown Ocean" and "Drops in the River," feel like they were a beautiful extension of a landscape that was just created, one that grips you with precision and just enough space to deliver those chilling harmonies. Perhaps the best moment of the show, besides the two-song encore, was the back-to-back-to-back performances of "Tiger Mountain Pleasant Song," "Winter White Hymnal," and "Ragged Wood," all songs from their 2008 self-titled album. What made it even more special were the two tunes from Helplessness Blues that immediately followed, "Lorelai" and "Montezuma." It was as if nothing was being taken for granted on stage; the magic just kept flowing and flowing until the main-set closer, "Blue Ridge Mountains." The encore, which consisted of the solo-acoustic "Oliver James" and "Helplessness Blues," was just an extension of this magic. "I was raised up believing I was somehow unique," Pecknold sang to an audience who hung on every word. Oh, you are, sir. You most definitely are.